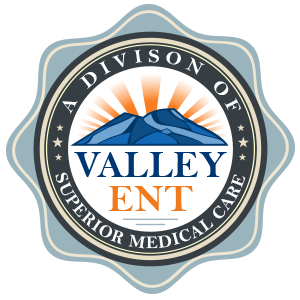 Arizona Sinus Center - A Division of Valley ENT. Our center strives to be the premier source for ear, nose, throat, and advanced sinus care with a focus on patient education. Our physicians use the latest technology and medical therapy to diagnose and manage your ear, nose or throat condition. We take pride in constantly refining technical skills and continued learning in an effort to advance our field. Our goal is to educate patients about the disease process first. We believe that making the patient or parent an active participant in the planning of the treatment results in higher patient satisfaction and the best medical and surgical outcomes. Our award winning physicians are sincerely committed to improving the well being of each patient that walks through our doors. Dr. Ryan Rehl was interviewed by CBS in Phoenix. A ear, nose and throat doctor at the Arizona Sinus Center Phoenix is now putting these in patients on a regular basis. The device is called Propel. It's an innovative FDA-approved medical device that's inserted following a sinus procedure. The spring-like stent expands to prop open the sinus and gradually delivers an advanced steroid with anti-inflammatory medicine directly to the sinus lining, where it's needed most. Valley ENT in conjunction with Honor Health just completed our first annual continuing medical education conference for Phoenix Metro area primary care practitioners entitled “ENT Update for the Primary Care Provider 2017.” Dr. Rehl, CME Chair for Valley ENT, helped organize the course which was held on Saturday October, 28, 2017 at Honor Health Scottsdale Shea Medical Center. The conference was well attended to say the least. Over 100 primary care providers joined us for the event. The day kicked off with breakfast at 7:30 am and followed with 8 speakers lecturing on ear, nose and throat maladies often encountered by primary care physicians and nurse practitioners. The topics covered included, acute and chronic sinusitis, sinus headaches, hoarseness, chronic cough, dizziness, ear ache, sleep apnea and evaluation of a neck mass. 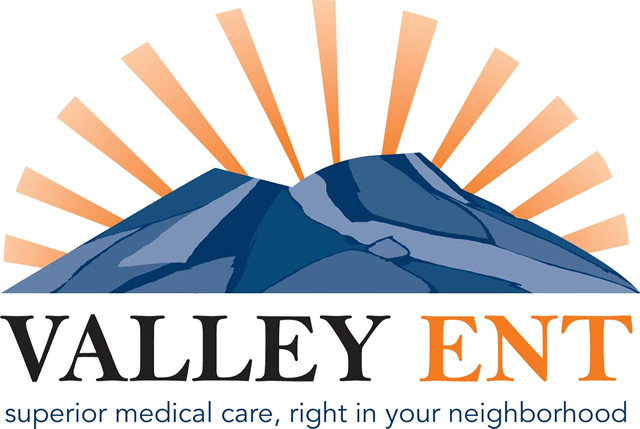 Valley ENT would like to thank the Honor Health CME committee and Honor Health Scottsdale Shea Medical Center for the opportunity to participate in this fantastic educational opportunity. Special thanks go to our speakers: Dr. A.J. Emami, Dr. Timothy Haegen, Dr. Ryan Rehl, Dr. Jordan Weiner, Dr. Cheryl MacKechnie, Dr. Natacia Howard, Dr. Raquel Redtfeldt, Dr. Dan Hurley and Dr. Timothy Kelsch. We would like to acknowledge Glen Randolph and Tom Tucker for the fantastic administrative support that helped make the conference a success. The time of year is upon us when blistering heat and monsoon winds give way to peaceful sunny 75 degree days. With the change of seasons come a multitude of challenges for the nose, sinuses and lungs. Allergens, dust, air pollution, particulate matter in the air, changes in barometric pressure and respiratory viruses can all wreak havoc on our respiratory systems leading to nasal congestion, post nasal drainage, cough, wheezing, fatigue and eventually sinusitis and bronchitis. The following 10 tips can help keep your nose, sinuses and lungs healthy this fall and winter. Your nasal and sinus complaints will be fully evaluated by a fellowship-trained rhinologist (nasal and sinus sub-specialist). The latest technology and medical therapy will be used to diagnose and manage your nasal and sinus condition. Your visit will include a full ear, nose, throat , head and neck exam. If necessary, video endoscopy of the nasal cavity, sinus drainage pathways and throat can be performed. Cultures are often performed for chronic infection. The PolypVac is an FDA-cleared, safe, clinically proven technology that allows doctors to remove nasal polyps during either a routine visit or a conveniently scheduled office appointment, without general anesthesia. At Arizona Sinus Center we offer convenient in-office CT scans. Avoid scheduling hassles and waiting at hospitals or imaging centers by having the CT scan completed in the comfort of your doctor’s office. Nasal obstruction can cause diminished sense of smell and taste, nasal congestion, dry mouth, chronic sore throat, dental decay, halitosis, decreased exercise tolerance and changes in voice. Nasal obstruction can have many causes including: turbinate enlargement, septal deviation, nasal polyps, adenoid enlargement, collapse of external nasal structures, thick mucous, and least likely, tumors. Functional endoscopic sinus surgery (FESS) is a minimally invasive technique in which sinus drainage pathways are opened with the assistance of small endoscopes and delicate curved or angled instruments. Balloon catheters can be utilized during endoscopic sinus surgery to dilate and open sinus drainage pathways. These devices are generally less traumatic to nasal and sinus tissue than standard instrumentation. Benefits may include decreased pain, recovery time and bleeding after sinus surgery. Most commonly, patients require a combination of balloon catheter dilation and rigid sinus instrumentation for optimal post-operative symptom reduction. We welcome visiting patients from Mexico and Canada looking for same day, in-office evaluation and treatment of nasal polyps. Have you been diagnosed with nasal polyps? Do you suffer from nasal congestion and diminished sense of smell? Have you had difficulty locating a sinus specialist in your area that offers comprehensive evaluation and treatment of nasal polyps? If the answer to these questions is yes, consider contacting our referral coordinator, Tracy (602) 258-9859, to arrange a comprehensive evaluation with one of our fellowship-trained sinus specialists.